Anyway, I thought I could at least get a yummy recipe posted that takes very little prep and time. That way, if you're experiencing a similar Monday to me, you can have dinner taken care of quickly. Chop about 5-6 roma tomatoes, 1/2 can of artichoke hearts (I did not use marinated), and 2 cloves of garlic and place in a bowl. Drizzle with a couple tablespoons of olive oil and 1 tsp of sugar. Add salt and pepper to taste. Mix in 2 Tbsp of all purpose flour as the chicken and veggies will create a lot of juice. Spray a 9 x 13 baking dish with non-stick spray and lay 4-5 chicken breasts. Drizzle with olive oil and sprinkle with salt and pepper. Spread veggie mix around and between the breasts. Stick in a 350F oven for 30-35 minutes, until chicken is done. Then top with mozzarella and Parmesan cheese and broil for a few minutes until cheese is browned and bubbly. Add fresh basil and it will wilt a bit from the heat. Serve over pasta or with a side salad. I used this cute multicolored pasta from Trader Joe's. Not too much though! Just about 1/2 cup. Before you head to the coffee shop and pay around $3 for your iced coffee, check my easy recipe out. Now that it's warmer, iced coffee sounds so satisfying. With this easy recipe you can have your own home brewed iced coffee in a big jug in the fridge and it'll last you a couple of weeks, depending on how much you drink. Simply add about 1 lb course ground coffee and gallon of water in a large bowl or jug and let sit 24 hours. This does not need to be refrigerated. You can stir it around from time to time. When it's ready, place a strainer over a large pitcher and line with a coffee liner or cheese cloth. Pour in the grounds/water solution a little bit at a time. The strainer and coffee liner will catch the grounds and allow the cold brewed coffee to drip in to your pitcher. You will have to replace the liner a few times as it gets saturated with grounds. The whole process takes about an hour. I was watching a movie during it, so I would pour enough to almost start trickling over the liner and then walk away for 15 minutes. Once you strain all the coffee, you should have about a gallon of home brewed iced coffee at your disposal. Keep in the fridge. Typically, cold brewed coffee is much stronger than drip, so I like to pour about half coffee half almond milk into my glass. Sweeten as desired. 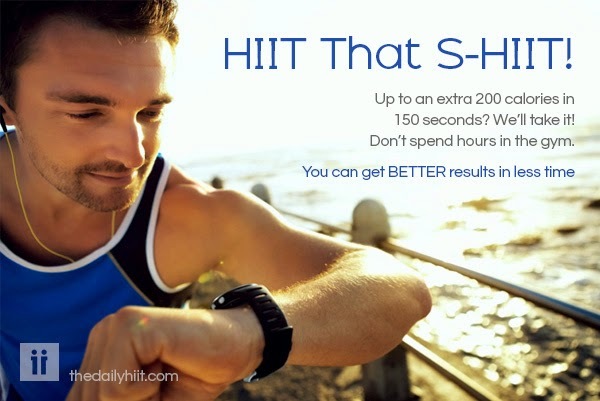 I'd like to introduce you to my good friend -- HIIT -- High Intensity Interval Training. It's 100% true and more. This is primarily composed of 30-45 seconds of sprinting, cycling, stair climbing, etc at your maximum intensity, and then 30-60 seconds of low intensity walking or jogging. For example, for 45 seconds sprint at about a 12 on a treadmill or an all out sprint somewhere outside, then reduce it down to a 3.5 and walk for 60 seconds. Are you wondering how fast a "sprint" actually is? Imagine you're being chased by a mountain lion and run that fast. - Raises your HGH (human growth hormone). At age 30, this hormone declines rapidly. This hormone is what keeps you fit, healthy, and young. Looking for anti-aging secrets? Here it is and it's free. Doing HIIT keeps this hormone level raised, thus, slows down the aging process and keeps you feeling damn good! - Preserves muscle mass. This is especially important if you're looking to tone and get rid of any excess flab. Hours of steady state cardio eats your muscle, so you end up burning any muscle you do build with weight training, thus, the flab doesn't tighten. - Increased post-exercise oxygen consumption. You keep burning calories after the work out. 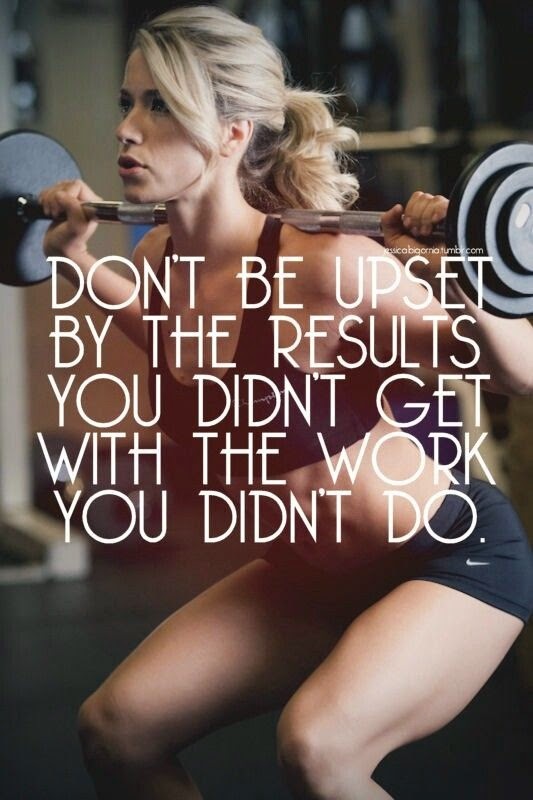 Unlike steady state cardio, when you pretty much stop burning calories when you leave the gym or stop the work out, HIIT keeps you burning more calories 1-2 hours after you stop. - Reduced abdominal and subcutaneous (around organs) fat. Steady state does not burn fat this way. - Increases your metabolic rate. You'll burn calories and fat more efficiently. - Saves time. Get the same results and more from 15-20 minutes of HIIT and you can throw in weight training or yoga and be out of the gym at the same time as you were after jogging or using the elliptical for an hour. You can do HIIT with almost any exercise you want. You can do pushups for 50 secs/march in place for 10. You can do kettle bell swings for 50 secs/jump rope for 10 seconds. The variation and intensity can be developed based on your individual preference and fitness level. The basic premise you should understand, is to go ALL OUT until you feel like you can't breathe/are going to pass out/might die (not really), and then take it down to low intensity and catch your breath for a bit. Then, go ALL OUT again!!! And repeat. You should only get to about 20 minutes max of HIIT, otherwise it becomes too exhausting for your body. You will build up how many times you can repeat sets of high and low intensity. You may only be able to do two or three at first. But eventually, like with any exercise, you will build up the strength. Once you're comfortable, increase the reps, jog during low intensity instead of walk, etc. 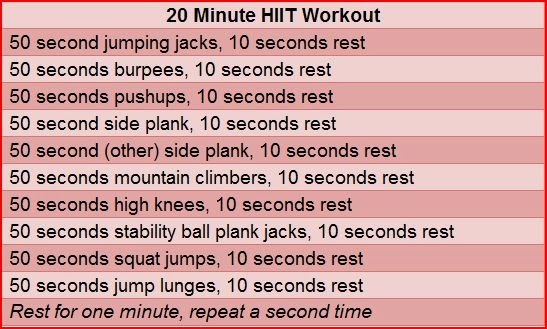 There are tons and tons of HIIT work outs online. My personal favorite is Melissa Bender. She has 100s of work outs on her blog that are free. I also use a HIIT timer free app on my phone called Seconds so I can time my intervals. It's been a week since I've posted, eek! To make up for it, I'm posting probably the most popular recipe I've ever made. I've been asked for the recipe multiple times, even by a guy who just saw my boyfriend's baked oatmeal he brought to work. It is seriously amazing. When you first say, "I made baked oatmeal," people kind of look at you crazy. Baked oatmeal...what? But trust me, they love it! It's very adaptable as well. *If you wanted to substitute fruit or leave out nuts, whatever, it's very easy to alter. But I'm sticking with my tried and true baked strawberry banana with walnuts and chocolate chips. First, you mix up your oats, baking powder, brown sugar, cinnamon, and salt in a bowl. Slice 1 cup strawberries. Mix in half of those, 1/4 cup walnuts, and a 1/4 cup chocolate chips to the dry mix. Pour it into your greased 9 x 13 or 8 x 8 baking dish. Top with the remaining sliced strawberries, walnuts, and chocolate chips. Using the same bowl (easy cleanup, yay!) melt 3 tbsp of butter (or applesauce if you wanted to do a vegan dish). Pour in two cups of milk of choice. I used Silk Almond Coconut, but you can sub any type of milk. Add 2 tsp vanilla and 1 egg (leave out for vegan, sub 1/4 cup applesauce) and whisk all together. Slowly and evenly pour the wet mixture over the dry. Now, give the dish a little shake to evenly distribute the wet mixture into the dry. You might have to tilt the dish a bit to evenly coat all the oats. Slice 1 banana thinly and top the oatmeal with the banana slices. You may have to use two bananas depending on how thinly you slice it and if you use a 9 x 13 versus an 8 x 8 dish. Pop the dish into a preheated 375F oven for 30-35 minutes until the oatmeal looks evenly browned. Serve warm right out of the oven or warmed up the next day. It warms up fantastically for a quick breakfast (or snack!). I like to cut into 6 portions and keep in Tupperware in the fridge. So easy for my 6am mornings. Each serving (1/6 of the casserole) has about 350 calories, so it makes for a hearty breakfast. You get fiber, protein, and fruit in every bite. As I said, this recipe is so adaptable. You can easily leave out the chocolate chips if you need to cut back on sugar and/or replace the brown sugar with stevia. Or leave it out and drizzle honey or maple syrup over the top. Sub the fruit and nut options, whatever you want! I'd love to hear what kind of creative and delicious combinations you come up with so leave a comment telling me what you make! So, I have to admit, I've always been nervous trying to make Asian dishes. The stir frying, all the necessary ingredients I never seem to have on hand... I get intimidated. However, I finally succeeded at creating a sesame chicken dish that was amazing! Also, it's much healthier than traditionally fried sesame chicken you get from restaurants. The reason for this, aside from knowing every single ingredient that goes into the dish, is that it's actually baked! It really didn't take me much time at all. The longest process was 45 minutes baking in the oven, while I waited hungrily for the chicken to finish. But during this time, I prepared a side of asparagus and zucchini sauteed in a bit of butter and garlic. Since the sesame honey chicken does have kind of a lot of sugar in it, I determined I didn't need to add another carb like rice. You're already getting carbs from the brown sugar, ketchup, and honey that goes into the sauce. But you could stick with the Asian theme and have broccoli, mushrooms, red bell peppers, etc. I just happened to have zucchini and asparagus on hand. First I cut up 4 chicken breasts into cubes. Then I put about 1 cup of corn starch in a gallon size Ziploc and 3 beaten eggs in another gallon size Ziploc bag. I used tongs and put the chicken chunks into the cornstarch bag and shook until all chicken pieces were covered. The next part gets a little messy. You will need to take the cornstarch covered chicken out of the first bag and place it into the egg filled bag. Shake around again until the egg has saturated the chicken. The mixture will be very thick. You could also do this same process by putting the cornstarch and egg in two separate bowls, but I didn't feel like touching raw chicken and egg. Bake at 325F for 45 minutes. Every 15 minutes, stir the chicken around so that the sauce coats it evenly. You'll notice the sauce starts to thicken and glaze over the chicken, sticking to the "breading" formed with the egg and cornstarch. When finished, it will really start to look like the Asian sesame chicken dishes you know and love. Serve with a side of veggies or steam some brown rice and top it with the chicken. Don't forget the final ingredient: top with sesame seeds once you plate the chicken! Preheat oven to 325F. Cube chicken into bite size pieces. Place 1 cup cornstarch into one gallon size plastic bag. Place 3 eggs, beaten, into another gallon size plastic bag. Add chicken into cornstarch bag and shake around to coat. Using your hands or tongs, remove chicken from cornstarch and place into the bag with eggs and shake again to coat. Heat 1/4 cup canola oil in a large non-stick pan. Add chicken and saute, stirring often, until chicken is mostly browned (will be mostly cooked through and will finish cooking in the oven). Transfer to a 9 x 13 baking dish sprayed with non-stick spray. Mix all ingredients for sauce together in a medium sized mixing bowl. I did not have sesame oil and left it out and subbed out white wine vinegar* for rice wine vinegar as I didn't have it on hand. My version was still delicious the way I made it, but the original recipe calls for sesame oil and rice wine vinegar. It may lend it a more authentic taste, but if you don't have those uncommon ingredients on hand, don't sweat it! It'll still be great. Pour the sauce over the chicken and stir to evenly coat. Put chicken into the oven for 45 minutes. Every 15 minutes, stir to make sure all chicken is coated with the sauce. You will see that the sauce starts to thicken and act as a kind of glaze on the chicken. When done, remove from oven and add sesame seeds as a garnish once you plate the chicken. Serve with veggies and/or brown rice! UPDATE 4/15/15: I remade this recipe using the rice wine vinegar and sesame oil and we thought it was way too tangy. The sauce was definitely overpowering, so I suggest making it with white wine vinegar. I'm not sure if the sesame oil made a difference. I couldn't really taste it. My boyfriend thought this was a big hit, and I hope you will too! Enjoy! Drink lemon water every morning! I think with the beautifully sunny weather we've had lately, I'm in total summer mode. All I want are salads, lemon flavored things, the beach, and light, summery drinks. Which brings me to my new found love: lemon mint water. I especially love the taste of mint mixed in drinks, salads, and with chocolate. It lends the lemon water a sweet, fresh taste. I recently read about the benefits of lemon water, and there are plenty! Not to mention it tastes so light and invigorating. -Drinking a big glass of lemon mint water first thing in the morning is one of the best things you can do. It hydrates you after many hours without liquid and helps wake you up. -Lemons relieve indigestion and bloating. Mint soothes an upset stomach. -Best of all, lemon water can help aid in weight loss by eliminating toxins, streamlining digestion, and hydrating your body. Flavoring your water naturally with lemons and mint can help inspire you to drink more water instead of reaching for artificially flavored drinks or (heaven forbid!) a soda. I'm a big time coffee drinker, trust me. So I understand when people say, "What?! Wake up and forego my morning coffee? Blasphemy!" But just wait 30 minutes and chug your lemon water first. Take a shower, get ready, or whatever it is you need to do in the mornings, and save your coffee for the drive to work or 1/2 an hour after you consume the lemon water. After 30 days, let me know if you notice a difference! It's such an easy, inexpensive, fresh modification to your day, and one I think you'll surely enjoy. Or you can make a whole pitcher and slice up a couple of lemons, throw in some muddled mint leaves, and keep in the fridge. Also, it looks so pretty! You can't help but feel happier just looking at such a sunny thing. It was absolutely gorgeous in San Diego this weekend. It's always nice, but last weekend was really rainy, and it has been a bit chilly to lay on the beach. This weekend was beautiful without any clouds and 80 degrees, which is hotter than normal. We took advantage and had an amazing lunch at one of our favorite restaurants with a beautiful view, and of course, spent time at the beach. We ordered a seared ahi stack topped with a blue crab salad, avocado, papaya-mango salsa, and served with house made taro chips. My entree was grilled mahi tacos topped with a pineapple salsa served on corn tortillas. The pineapple salsa tasted sooo amazing with the fish tacos. And I had a "dry and racy" white wine flight in honor of the beautiful California weather. So, you see? It's possible to eat out and have a fabulous time while still making healthy choices. I had a couple of drinks, but I rarely drink, and I still got my workouts in this weekend. The ahi stack was all protein with root vegetables for chips and my fish tacos were the healthified option of grilled versus fried served on corn rather than flour tortillas. I hope your weekend was great as well! More recipes to come this week. Cheers!